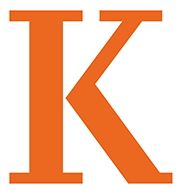 We will seek to support the educational mission of Kalamazoo College. This will be achieved by a personal and group commitment to provide quality services to all members of the college community and to conserve and continuously improve the functions and beauty of our campus. We will also strive to provide a nurturing and supportive environment for our most important customers, the students of Kalamazoo College. We are located in the Oldfield Maintenance Building on the southeast corner of campus. [See us on campus map]. Contact the office at 269-337-7308.